The Hebron Succot festival, musical hallel and Cave of Machpela attracted masses. More than 40,000 people visited Hebron during the week of Succot. The director of the Jewish community of Hebron Uri Karzen, summed up the experience stating, "the lulav is just one of four species, each of which maintains its unique essence. 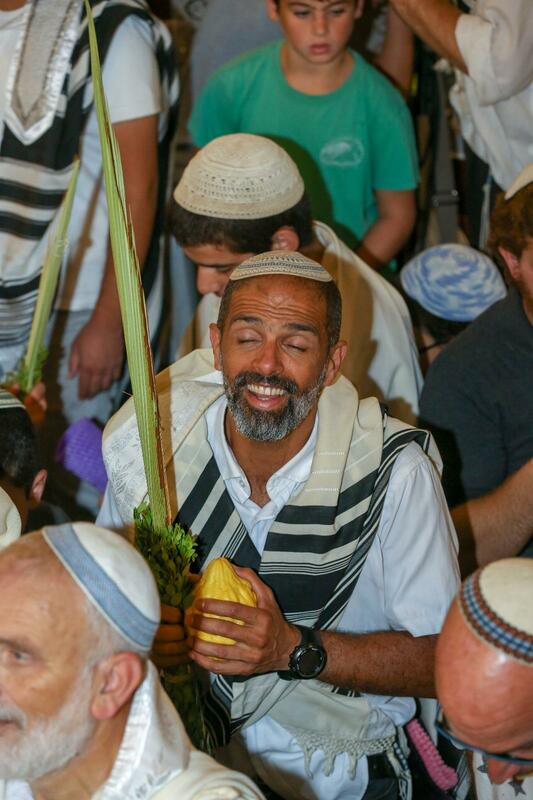 Hebron, like teh lulav, is the one that connects all the species together to one united and happy nation with their matriarchs and patriarchs." Wednesday began with a musical hallel led by Rabbi Shmuel Eliyahu, chief rabbi of Tzfat and son of Israel's celebrated Chief Rabbi, Mordechai Eliyahu. Thousands packed the Hall of Isaac, the largest in the Cave of Machpela complex, and location of the entrance to the underground burial tombs. Later in the day, the annual Sucxcot music festival began and featured top name acts from Israel and abroad including Lipa Schmeltzer, Haim Israel, Aharon Razel, Barry Weber, Sinai Tor, Elisha Birnbaum, Yoni Eliav, The Kinderlach and more. Elected officials who spoke at the event included Member of Knesset Yehudah Glick, Deputy Minister of Defense Eli Ben-Dahan, Deputy Speaker of the Knesset Nurit Koren, and Minister of Agriculture and Rural Development Uri Ariel. Local leaders in the Hebron community spoke including Uri Karzen, Ashi Horowitz, Rabbi Hillel Horowitz, spokesman Noam Arnon and others. Chabad of Hebron ercted a large sukkah and distributed thousands of free cups of coffee and cake to visitors. Guided tours of historical sites in Hebron and the "Touching Eternity" visitor center took place as well as kids activities including arts and crafts. The community is now preparing for Shabbat Parshat Chayei Sarah the weekend of November 3, 2018 .